L’Associazione ChinaAid ha lanciato un appello internazionale per l’arresto di tre cristiani nella provincia dello Xijiang : Alimujiang Yimiti, Wusiman Yiming e Lou Yuanqi. I tre hanno subito maltrattamenti ed abusi. 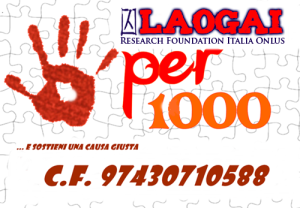 La Laogai Research Foundation si unisce all’appello di China Aid. Facciamoli liberare… ! Contattiamo le autorità cinesi. Segue il comunicato in inglese ripreso da Dossier Tibet. XINJIANG – ChinaAid issues an urgent call to the international press, government leaders and concerned individuals around the world to intercede on behalf of Christian prisoners in Xinjiang Uyghur Autonomous Region: Alimujiang Yimiti, Wusiman Yiming and Lou Yuanqi. ChinaAid has learned from an anonymous government insider who is sympathetic with the Christians that international pressure is critical now. The source says the Xinjiang Authority is deliberating in the next few days whether to release these three prisoners. Alimujiang, Wusiman and Lou have been shown great injustice by the Xinjiang government in delayed trials, mistreatment in prison and blatant violation of legal rights. Mr. Alimujiang Yimiti, a Christian from the Uyghur minority, has been in detention for since January 12, 2008 for preaching Christianity. On May 27, his case was tried in court and the verdict was that it should be returned to the local Public Security Bureau (PSB) prosecutors because of “insufficient evidence” against him. Sources report that Alimujiang is highly respected in the prison and is praised by people there. He insists on his innocence and adheres to his Christian beliefs. Yet, the local government in Kashi has not responded to inquiries and it appears the case is being delayed indefinitely. ChinaAid contacts report that since Alimujiang’s imprisonment, his wife, Guli Nuer, has been taking care of their two young sons and negotiating with the relevant government agencies in the hope that the government will handle this case impartially, expediently and in accordance with the law. Alimujiang’s mother is also traveling and working hard for the release of her son. Guli told friends of ChinaAid that in this tribulation she has learned how to be joyful and brave and to take care of the people around her by depending on Jesus Christ. She says that she hopes her husband can be acquitted and released. Guli also wishes to thank all the people who are concerned about Alimujiang’s case. Another Uyghur Christian, Mr. Wusiman Yiming was sentenced to two years of re-education through labor in September 2007 for “revealing state secrets” and “illegal proselytizing.” Sources say that the real reason he was sentenced was because of his boldness as a Christian and a leader in the Uyghur church. Initially, officials planned to sentence him for 10 to 15 years, but after international media attention they sentenced him to two years in the labor camp. Sources report that he has aged dramatically in the labor camp and his health is deteriorating due to harsh conditions. When Wusiman’s lawyer appealed his sentence in June 2008, court authorities insisted on a closed hearing, then turned down the appeal and refused to explain. They denied Wusiman proper access to his lawyer, which violated normal court procedure. The most recent of the three cases in Xinjiang is that of Mr. Lou Yuanqi. Lou stood trial on December 15, 2008 on charges of “utilizing superstition to undermine the law.” Sources say the real reason for the charge was to stop Lou’s house church from meeting in his home. After Lou’s trial, his daughter Lou Tiantian, 18, was beaten by court police when she tried to speak with her father as he was being put into a police car. Lou Tiantian was taken to the hospital where she received medical treatment, then was released the same night. Judges have still not delivered a verdict on Pastor Lou’s case. Bob Fu, president of ChinaAid, strongly denounces the conduct of the government of Xinjiang and calls on the international community to show concern regarding the cases of Alimujiang, Wusiman and Lou and to urge the Chinese government to improve the status of the human rights of house church Christians and ethnic minorities in China.